Do you find it time consuming writing out hundreds of flashcards for you AP courses? Well you’re not alone. Writing out flashcards is extremely time consuming. And lets not forget the hand cramps that come along with it. When it comes to AP Courses, trying to memorize all the terms can be difficult. But we all know that memorizing is a necessary aspect when learning and understanding new information. ExamTime’s online Flashcard tool is perfect for memorizing and studying any of your AP materials. In the matter of minutes you can create and study your AP flashcards. 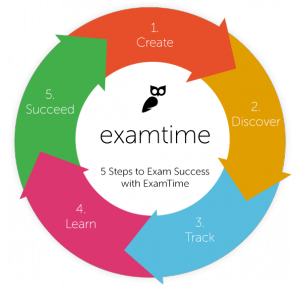 Whether its AP Biology, Chemistry, or US History, ExamTime offers all the available tools and resources to give you a stress free study environment. ExamTime’s online flashcards make it easy for you to test yourself in a effective and efficient way. Don’t like studying alone? No worries, being able to share your flashcards gives you the ability to study with ot hers and test one another to see who knows more! Cause lets be real, who doesn’t love a little competition every now and then? Since the AP’s are tough, many have already used ExamTime’s tools to create and study their mat erial. There are many ready-to-use flashcards for a variety of different AP Courses. Click below to see ExamTime’s available resources for your AP courses. You can’t leave studying for your AP’s till the last minute. It’s a gradual process in order to learn all your required information. ExamTime’s online Flashcards are here to help you with that process, to make studying easier and more effective for you so you can score that 5 on your AP Exam! So why wait? For no charge your online studying experience can begin in no time. Get ahead now and sign up with ExamTime so you can start preparing for you AP Courses and Exams!